As we have one of these for other forums, thought I would start one here as a thread for all those short and amusing news stories that crop up from time to time. Enjoy! 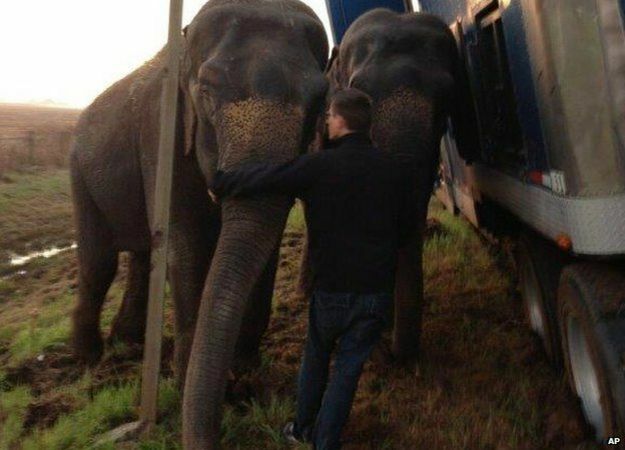 A pair of elephants has helped prevent a lorry from overturning in the US state of Louisiana. The Natchitoches Parish Sheriff's Office said the truck had been hauling three elephants from New Orleans to Dallas when it got into trouble. Officials were "astounded" by what they saw, a spokesman said. FIFE, Wash. – A Washington State Patrol trooper says it's by far the best carpool scam he's seen, but it didn't work. As KOMO-TV put it (http://is.gd/7cZLaN ), "Troopers don't always stop people in the HOV lanes, but when they do, they prefer 'dos' passengers." A motorcycle trooper parked along Interstate 5 near Tacoma on Monday afternoon spotted a driver and a rather unusual "passenger" pass by him in the carpool lane. When the trooper stopped the car, he discovered the "passenger" was a cardboard cutout of the actor who portrays "The Most Interesting Man in the World" in Dos Equis beer ads. The driver's response? "He's my best friend." Channeling the cardboard cutout, the State Patrol tweeted: "I don't always violate the HOV lane law ... but when I do, I get a $124 ticket." I suspect Florida will be prominent here. For some reason news of the weird seems to emanate from there a lot. A naked man, identified as Antuan Anderson, is accused of trashing property and then exclaiming to a cop, “I’m famous now look at what I did,” records show, reports Will Greenlee in his Off the Beat blog for TCPalm.com in Stuart. When the deputy got out and ordered Anderson to the ground, he stripped away the rest of his clothes before complying with the order, officers said. Accused Bank Robber Says Virgin Mary Told Him To Eat His Feces. And He Did. In Court. A California man accused of robbing a bank apparently decided he was done taking crap from prosecutors, so decided to take matters into his own hands and eat some instead. Andrew Gilbertson pleaded not guilty by reason of insanity after allegedly robbing a San Luis Obispo bank in 2013, KSBY reported. Police said during the robbery, 40-year-old Gilbertson disguised himself by wearing a hat and a pink child's backpack before slipping a note to bank tellers demanding cash, according to Cal Coast News. He allegedly said it was the Virgin Mary who suggested the disguise. Despite the previously poor advice, Gilbertson said he listened to the Virgin Mary again Wednesday when she told him to eat his own feces while on the witness stand. The suspect allegedly reached into his pants, removed his own waste and began eating the cheeky snack. In the chaos that followed Judge Donald Umhofer called for a recess. Florida man is facing animal cruelty charges after allegedly attempting to sell live iguanas that he had hog-tied with duct tape and wire. Jeremy Dugas, 35, was arrested in Key West on Tuesday after a woman reported that he allegedly tried to sell her the bound iguanas to cook for dinner, the Florida Sun-Sentinel reports. Yep! 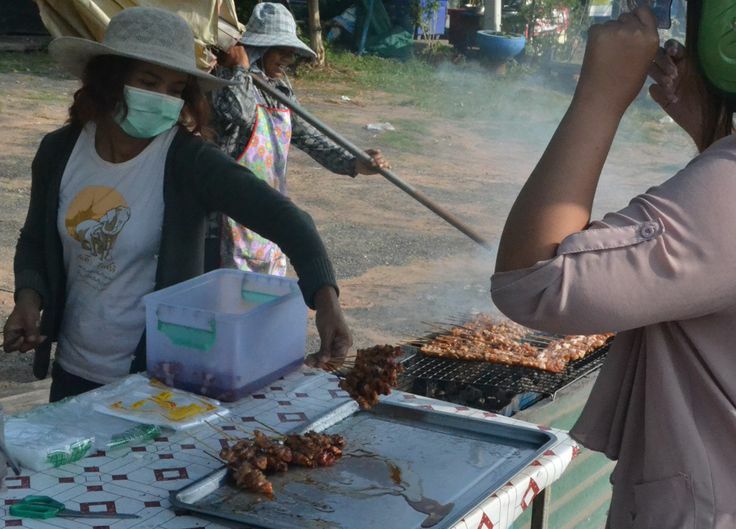 Nothing quite like "Lizard on a stick..."
I'll have mine extra well done please...! What do you expect from a State that had a Bush for Gov.? We just had a very odd kidnapping case here in Northern California. A young woman was kidnapped for ransom, the kidnappers demanded $8,500. Somehow the woman turned up in Huntington Beach, unharmed. Her parents lives in Huntington Beach, CA. She said the kidnappers just dropped her off there, right before her boyfriend was about to pay her ransom. When she was supposedly abducted, her boyfriend was with her. The kidnappers tied him up and drugged him. He managed to free himself 10 hours later and called 911. The Vallejo Police is accusing the couple of staging the kidnapping for ransom. They may file charges if they can prove it. The FBI sent a plane to fly her to Vallejo, CA for an interview but she was a no show and have now gone into hiding. She is no longer cooperating with police. In the meantime, the kidnappers sent an email to a San Francisco newspaper (SF Chronicle) confirming that she was really kidnapped. What nice kidnappers, going out of their way to clear her name. California kidnapping case: A bizarre tale of did it really happen? Denise Huskins was reported missing but turned up 400 miles away and then she disappeared again and was located a day later – now she and her boyfriend are accused of staging a fake ransom demand. Last edited by Persephone; 28 Mar 15, 14:39. For those interested...here are 5 facts about the kidnapping. Yep...I found the ransom amount a joke. And this is the first time I've ever heard of kidnappers contacting the media to confirm an abduction and clear the victim's name. The Vallejo Police is confident this was staged. Once they tally the cost for the wild goose chase, I'm sure they will bill the couple for it. Last edited by Persephone; 28 Mar 15, 21:37. New emails have arrived at the SF Chronicle from the kidnappers. They are offended that the police and media are calling their kidnapping a hoax. They are demanding an apology and retraction immediately.